Get set for an enjoyable and remarkable weekend with award winning London show, The Phantom of the Opera at the magnificent Her Majesty theatre! The popular London musical is enjoying its entry into third decade. Andrew Lloyd Webber’s multi-award winning musical is a must watch for people of all age groups. The magnificent London show is set against the backdrop of gothic Paris Opera House. Gorgeous soprano Christine Daae is enticed by the voice of Phantom. This is one of the most loved tragic love sagas featuring heart touching musical numbers such as ‘The Music of the Night’, ‘All I Ask of You’ and of course the infamous title track, The Phantom of the Opera. 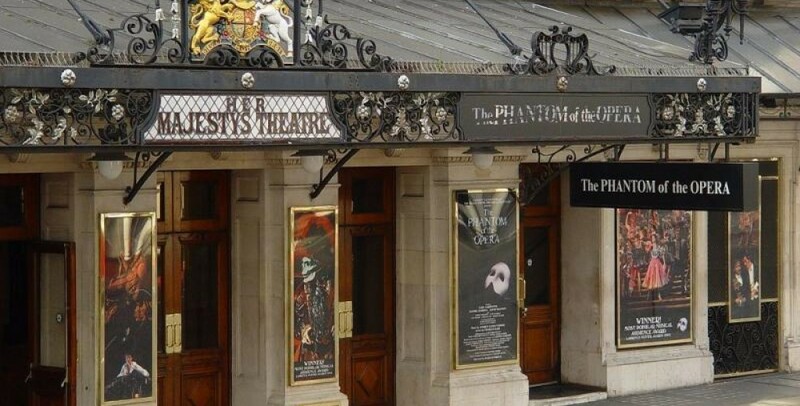 The original production of The Phantom of the Opera made its grand debut at Her Majesty’s Theatre in the year 1986. The show featured Michael Crawford and Sarah Brightman, who was then wife of composer Andrew Lloyd Webber. The show went on becoming a huge hit amongst the theatre lovers and still running with packed houses. The Phantom of the Opera is a huge hit across the globe featuring a magnificent combination of outstanding design, special effects and memorable score. The show has always been praised by both critics and masses. The show has also been a great success at Broadway and currently the longest running musical, playing at the Majestic Theatre. The show has enjoyed huge love and success across the globe such as Las Vegas production which had been designed mainly to fit a brand new theatre, featuring a real lake. At the Royal Albert Hall, the show enjoyed silver jubilee celebration in a glorious concert production featured Ramin Karimloo and Sierra Boggess as Phantom and Christine. If you are looking for a heart touching musical romantic saga then go for The Phantom of the Opera. The show has beautiful sets, costumes and special effects with outstanding orchestra delivering mmeorable scores. Hence, the show enchanting theatre lovers across the globe. The two hours and thirty minutes show is recommended for 10+kids. So, get set for memorable evening with award winning London show, The Phantom of the Opera.